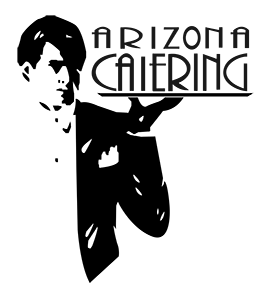 Arizona Catering began in April 1986 as a sole proprietorship. At its inception, I assumed virtually every role including food preparation, purchasing, sales and marketing. My previous extensive experience as a restaurateur enabled me to identify and focus upon those factors I believe to be the most important to a successful catering operation; attentive customer service, offering the highest quality of food at competitive prices. As the company has grown, I have continued to maintain this focus. My staff receives extensive training and approaches each client and event with the same pride that I do in our services and product. Arizona Catering, Inc. currently holds contracts for backstage catering at Talking Stick Arena, Ak-Chin Pavilion, Comerica Theatre, Gila River Arena and the Arizona State Fairgrounds. In addition we have contracts for the MGM Grand Garden Arena, MGM Village Festival Lot, Hollywood Bowl, Mandalay Bay Events Center and Beach, T-Mobile Arena, the Scottsdale Center for the Arts, Tempe Center for the Arts and the Glendale Civic Center. In 2016, Arizona Catering handled over 2800 events, providing over 100,000 meals. Our experience ranges from backstage catering for traveling entertainers, small and high-end weddings, and corporate holiday parties for two thousand employees to full concession sales. We have catered the Las Vegas iHeart Radio event every year, including simultaneous VIP parties for 500-100 guests. For those events we have over 140 service staff working while still catering a full schedule in Arizona. Over the past 31 years, Arizona Catering has grown to annual sales of over 3.8 million dollars. We now employ 34 full time staff and 22 part time staff including an operations director, sales associates, advertising consultant, six full time culinary trained chefs, kitchen staff, banquet staff captains and service staff. Most of our employees have been with the company for 15 years or longer. Having such long time staff insures quality, consistency and ongoing professionalism at each and every event. My staff and I have at all times remained focused on our primary goal of providing to my clients exceptional quality with impeccable service. Our growth has been primarily due to the satisfaction and recommendation of our clients. You will find no one more committed to providing you with the highest quality, comprehensive food and beverage program than Arizona Catering. We look forward to the opportunity to meet with you so that we may further explore what we believe will be a mutually rewarding relationship.